Researchers at the University of Birmingham in the United Kingdom have developed a tiny set of sensors that can be strapped onto the backs of pigeons. Rick Thomas, the research fellow who leads the project, uses the birds to collect data on urban microclimates — the block-by-block variations in temperature, humidity, and winds that affect living conditions in major cities. Fortunately for the scientists, no wild goose chase needed to track down their birds. The project works with local volunteers who raise homing pigeons, a variety of the common pigeon that was selectively bred for its ability to find its way home. 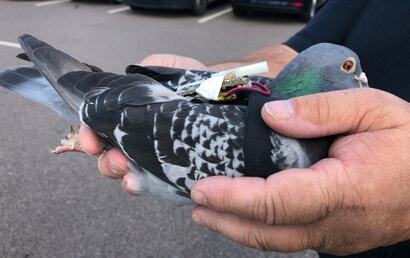 When the birds return to their lofts, the sensors are retrieved and the data downloaded. Each bird’s backpack collects temperature, humidity, and ambient light information, as well as GPS location and air pressure. When designing the sensors, the team followed strict guidelines to make sure they didn’t ruffle any metaphorical feathers. The entire package is less than 3 per cent of the pigeon’s body weight, as is standard when fitting wild animals with scientific equipment. 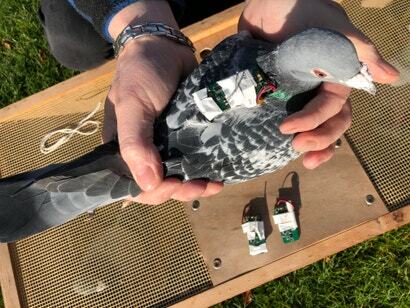 Thomas’s wife designed and sewed the harnesses that hold the sensors on the birds, iterating many times before settling on the design that was best for the pigeons. To date, the five birds involved in the project have logged a combined 41 flights and covered almost 1,000 kilometers. An expansion of the project to other cities would require more pigeon owners to volunteer their birds for duty — and more funds. “[Pigeon keeping] is not as popular as it once was, which is a bit of a shame,” said Thomas. Each sensor package runs about $353, making it a low-cost solution to acquiring data in hard-to-reach places. While Thomas is still working out calibration issues with some of the sensors, he is confident in the temperature measurements — the aspect of the project he was trying hardest to perfect. The data gathered by the pigeons can help researchers predict how air pollution travels around cities, which in turn can inform decisions about where to build key infrastructure like hospitals and schools. Identifying hotspots can also help public officials make policies for climate change adaptation as our cities continue to warm. Further sensor development, such as gas sensors, could give scientists and policy makers alike direct snapshots of pollutants in the air. Ultimately, Thomas hopes to develop a sensor that is energetically self-sustaining, allowing him to equip wild birds. 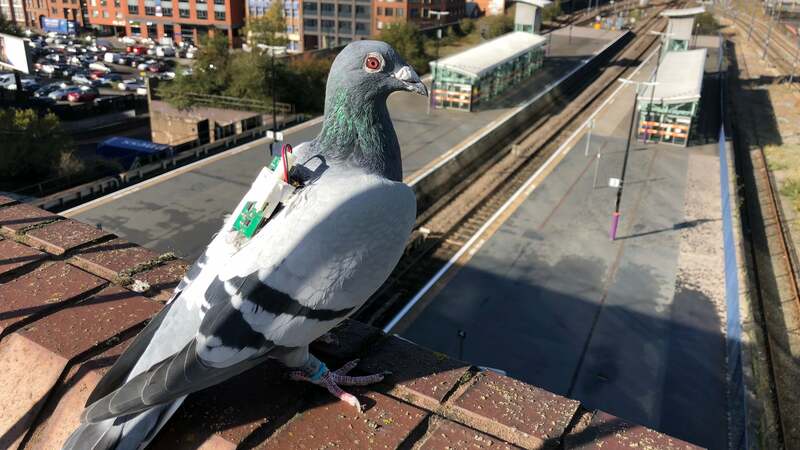 The addition of solar panels may prove to be too much weight for a small pigeon to carry, so he’s thinking instead about strapping them onto gulls. Outfitting wild birds would also require the ability to transmit data, but Thomas has an answer for that too — utilising the open Wi-Fi networks in places you’re likely to find such birds flocking. So if you see a fashionable feathered friend flapping around the next time you visit the UK, don’t be frightened. It’s just doing its job. Twitter or see more of her work.